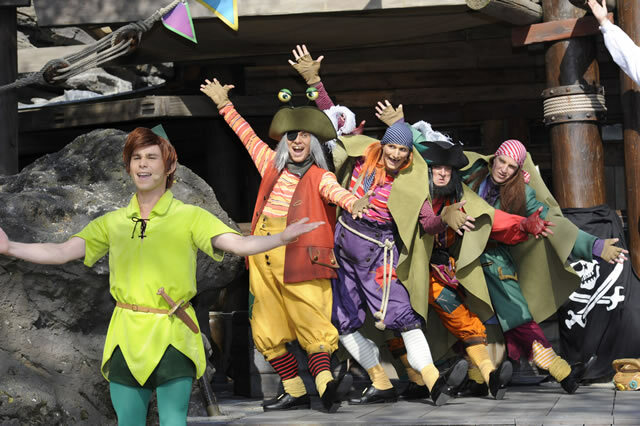 Get swept away in a whirlwind of Disney Magical Moments! A magical lamp with three wishes to grant. What if the Genie is waiting for you in Agrabah? 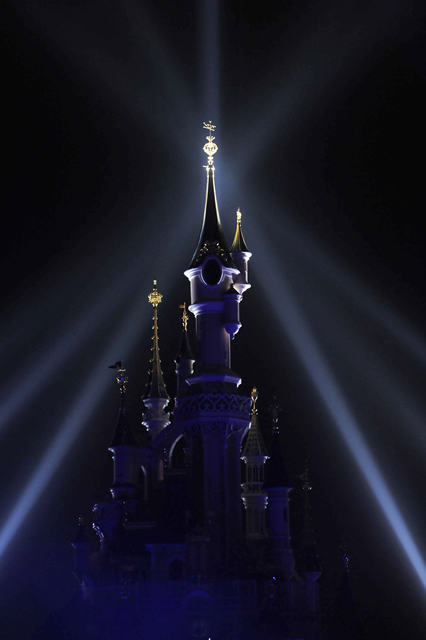 Every day, the Disneyland Park stages a spellbinding show in front of Sleeping Beauty Castle. This fantastic production stars Mickey surrounded by Disney Magicians, from Genie to Merlin, and even Cinderella’s Fairy Godmother. Anything is possible with a sprinkle of pixie dust and a little imagination. Disneyland is the perfect place to meet your favourite Disney Princess. Snow White, Cinderella, Aurora, Ariel, Belle, Jasmine, Tiana… they’re all waiting to meet you. A royal invitation to come and capture the most enchanting of Disney moments. It’s a real crocodile-snappin’ adventure for Lost Boys and Girls and absolutely anyone who’s never wanted to grow up. 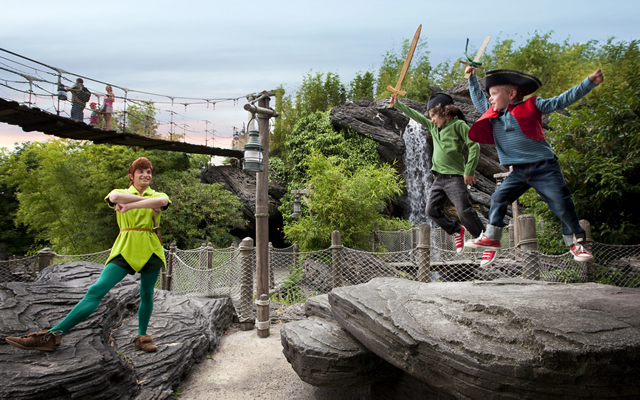 Help Peter Pan, Wendy and his band of Pirates give Captain Hook a real fright by joining your favourite characters on this interactive adventure. The Mad Hatter has set the zaniest of tables to celebrate thousands of un-birthdays in Wonderland. A chance to savour a succulent cup of imaginary tea not far from the Dormouse and his teapot. The “Hakuna Matata” terrace becomes the new hotspot for getting down to the sound of tam-tams with the heroes of Disney Classics such as The Jungle Book and The Lion King. 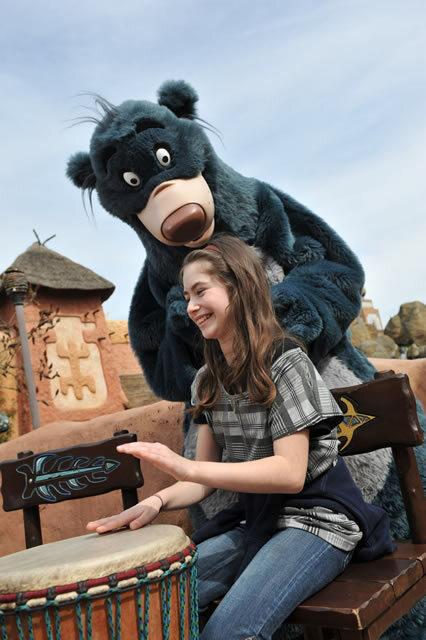 Untamed winds are blowing over Adventureland and may bring along performances from characters such as Baloo, King Louie, Timon, or the wise old Rafiki for a frenzied dance. 6 – Moteurs… Action! Stunt Show Spectacular featuring Lightning McQueen! 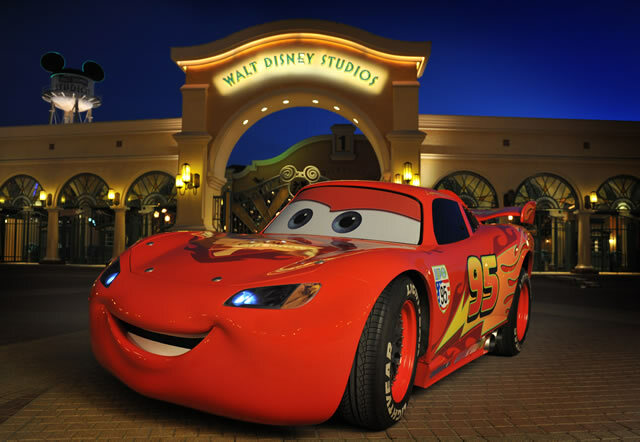 The most exciting automobile stunt show welcomes a feisty new star, Lightning McQueen – soon to be seen in the Disney•Pixar film Cars 2. This is set to be one fast-paced moment, so look out for Lightning McQueen when he hits the asphalt. The latest Disney heroine is decidedly modern… from her feisty temper to the tips of her magical, long hair. 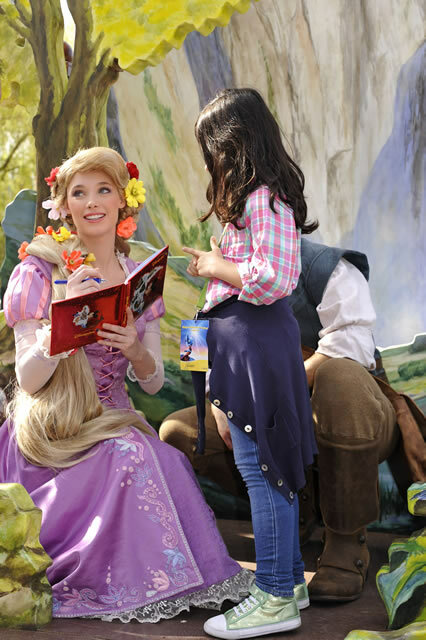 Discover Rapunzel’s story by stepping into a giant pop-up book for a magical photo moment in Fantasyland! 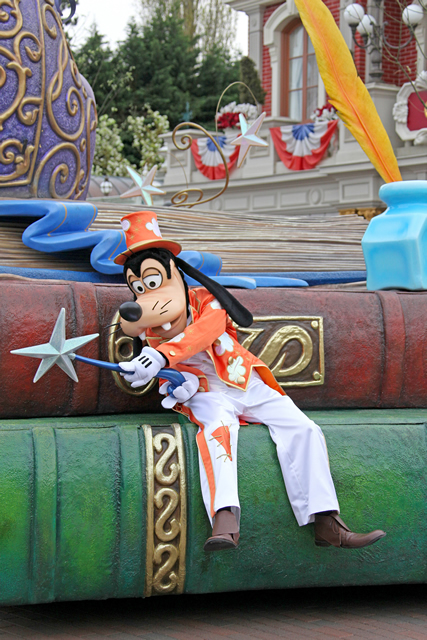 This year, the Disneyland Park grants your wish… to become part of the fabulous Disney’s Once Upon a Dream parade. 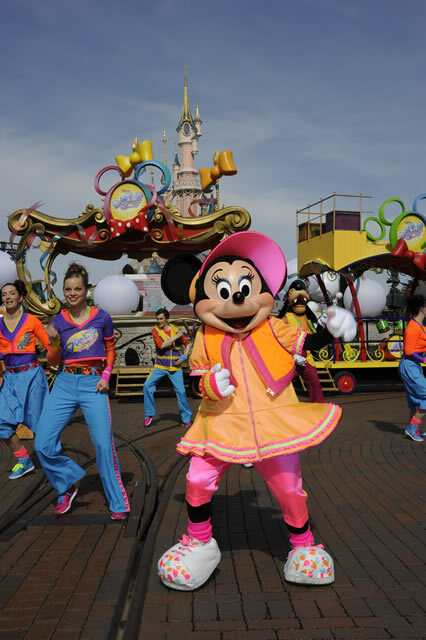 Disney films’ greatest stars and their friends encourage guests to take part through accessories, dance moves and other fantastic tricks. Destination Toy Story Playland, the all-new land in the Walt Disney Studios Park with three new attractions: Slinky Dog Zigzag Spin, Toy Soldiers Parachute Drop and RC Racer! 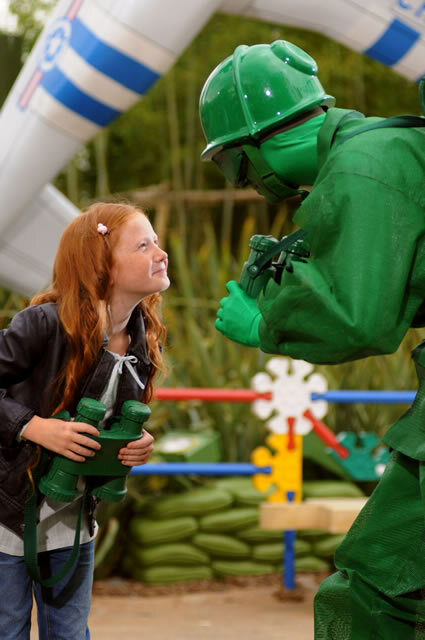 Andy’s Green Army Men enlist guests in an adventure that sees them reduced to the size of real toys. Remy the gourmet and his gluttonous brother Emile have ordered a huge French cheese platter for guests at the Walt Disney Studios Park. Pop your head through the holes and say cheese – for a fun food moment to remember forever. Sully, top scarer at Monsters, Inc. and his faithful assistant, Mike, encourage guests to participate in a terrifying screaming contest. Meet them at Toon Studios to break the decibel meter and experience a spine-tingling moment with the Monsters, Inc. Scream Academy. Hidden somewhere in Adventureland… is Aladdin’s famous magic lamp. 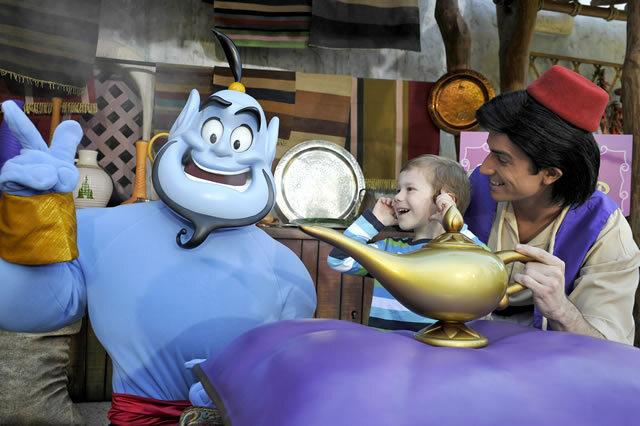 Plunder the market of Agrabah and release the Genie – to receive your three wishes and pose for a picture with the world-famous lamp! 13 – Share the love with Wall-E and Eve! 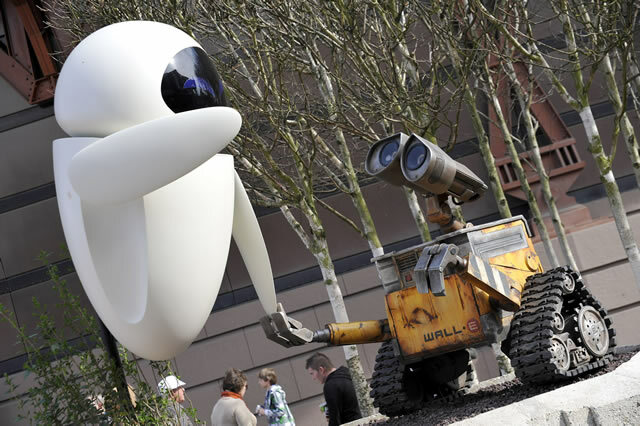 Celebrate Wall-E’s love for Eve in Discoveryland. Get swept away in timeless love story full of humour and romance from these two heroes of the 28th century. 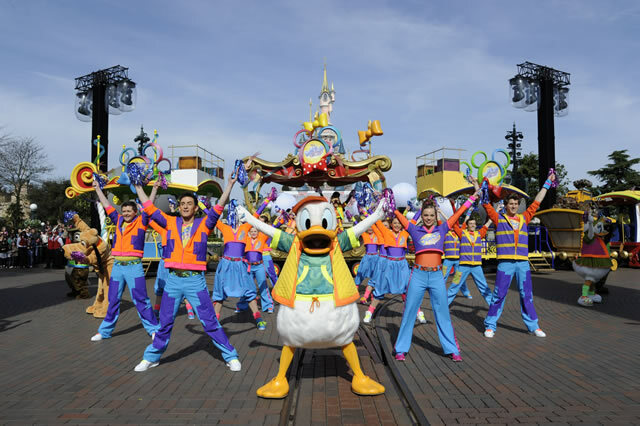 The Disney Dance Express train travels along Main Street, U.S.A. several times each day and invites guests to dance along with Goofy, Minnie, Donald, Chip ’n’ Dale, and even Daisy and Pluto. 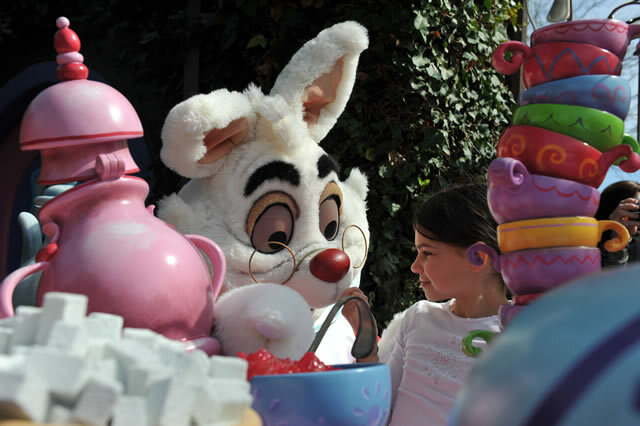 These and many more magical moments are waiting for you to create your own Disneyland Paris experience. 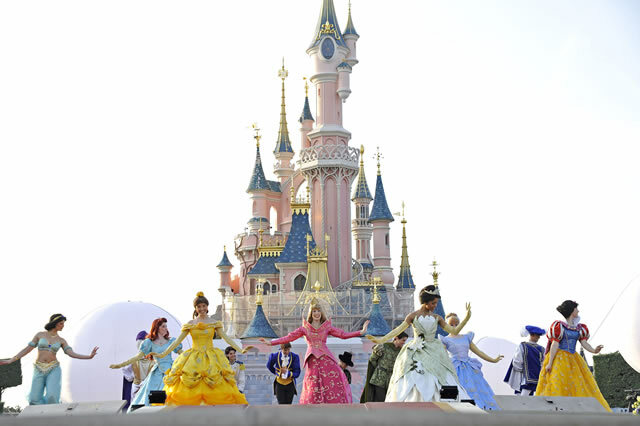 Book your stay at Disneyland Paris now and save up to 25% on hotel, park tickets and even transport! Can we already see/ experience those events/ activities as of now in april 2011?